GAIM Ops International speaker Christian Szylar, Global Head of Risk and Performance Measurement at Marshall Wace LLP, to discuss how risk management activities for alternative asset managers have changed since the 2008-2009 financial crises. What kinds of questions do your investors ask you most often? I assume that your question refers to questions I’m asked in my capacity of managing the risk department. Investors mainly during the due diligence process want first to make sure about proper risk governance in the firm, and have a sense of comfort that proper risk management systems are in place to understand what the main risk drivers are for any portfolio. They are particularly interested in the changes we have implemented in the way we monitor risk since the financial crisis, and how lessons have been translated into better risk practices. I spend a lot of time explaining how our risk management differs slightly compared to four years ago, without saying that what was done then was not strong enough. I end up talking about how a new paradigm has emerged after the 2008 financial crisis. Most investors want to know what particular risk factor (in our case, using a fundamental equity risk model) drives the risk in the portfolio in which they have invested. They are also focusing on performance risk-adjusted metrics, such as the information ratio for persistence of alpha and the Sharpe ratio – though these two metrics are by no means exhaustive. Understanding drivers of risk, drivers of alpha/return are the key focal points among investors. During times of uncertainty and stress, investors are also curious about downside risk, the drawdown situation (if any), and the gross management with regards to the predicted volatility. Investors’ focus on any drawdown management has increased since the financial crisis. How have risk management duties for alternative asset managers changed under the AIFMD? When I look at the requirements of AIFMD for risk management I can’t imagine that these requirements can constitute a huge challenge for any respectable and professional investment firm. Actually, I think that even having to say that a manager should have a sound and reliable risk management system is an obvious requirement. Would you not expect, as any investor would, that firms to whom you give your money should be able to manage the inherent risk which goes with asset management duties? For a firm like Marshall Wace, we did not wait for AIFMD to discover the obvious. Investing and Risk Management are in the end two faces of the same coin. So for most alternative managers I do not expect a lot of problems to deal and cope with the AIFM requirements in terms of risk management. One of the benefits of the AIFMD is that it clarifies what qualifies as “leverage.” This topic was not really formalized for the hedge fund industry until now. It was for UCITS funds but not for alternative managers. Liquidity management is also something firms are already focusing on – I imagine since 2008. So honestly I think the AIFMD requirements in terms of risk are just mentioning the obvious. How has Marshall Wace dealt with implementing the changes that the AIFMD demands? I will answer this question from a risk management perspective. 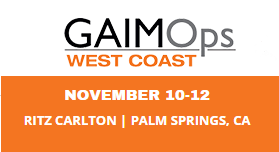 As mentioned above, it won’t be a problem for us to cope with the risk requirement, considering the firm’s investment in risk management www.GAIMOpsInternational.com in terms of resources and technologies for many years now. We were already computing leverage using the UCITS methodology, so apart from fine-tuning the data, this was relatively easy to implement. JPMorgan’s huge trading losses last year could be traced back to the implementation of a new Value-at-Risk model that masked a mark-to-market loss totaling billions. Are all VaR models fundamentally flawed? Can risk managers “stress test” their VaR models to avoid a JPMorgan-like scenario? I won’t comment on the JP Morgan case as I do not have all the details. The only thing I can say is that after the 2008 collapse a lot of papers have said that VaR was useless. I can certainly understand this kind of reaction, but I found those criticisms not always 100% justified. Those working in risk management or being knowledgeable on this question know that the VaR is a probability-based model and in its parametric formulation it assumes a normal distribution of return. The VaR, by definition, has some flaws. This is not new information. The VaR is still an interesting concept in risk management. I think that what is to blame is most probably the over-reliance that some put on the VaR numbers. VaR is indicative and should be used with caution. Knowing the inherent limitation of the model, we may then develop better stress testing scenarios, extreme case scenarios, focusing on fat tails, back testing and risk model review on a regular basis. So we can reduce the limitation of the VaR, but we can’t eliminate all of them. Another aspect of course behind the appropriateness of the model is the valuation of assets. If assets are not properly valued, then it is totally unfair to criticize the VaR model. As we say: “garbage in – garbage out” and proper valuation is the first requirement. What are some of the new risk methodologies that are being used? There are a lot, and the following may not be exhaustive but essentially I try to focus on creating an holistic risk approach, tail risk management and extreme events, dynamical correlation analysis and shift in correlation regime, dynamic volatility adjustment, macro risks as macro influence on the market has been important during the last years, improving looking forward and enhanced predicted volatility, developing multivariate stress testing, not relying on one risk model but use of different models (PCA/Fundamentals with different time series, half-life, time horizon, et al) and see how they react in different volatility regimes, liquidity stress testing, etc. What are the biggest threats to a client’s investment these days? Rising interest rates? Slowing growth in emerging markets? High-frequency/algorithmic trading systems? Not an easy question. Since 2008 we do have unconventional monetary policy in the USA but also in the UK and in the Euro zone. But the focus now is on the US. The level of these unconventional monetary policies has had an impact on asset prices. We can see that the US economy shows some good sign of resilience but the main question is to know if the recovery is strong enough without the money coming from the Central Bank… So how investors will appreciate the consequences of QE tapering is indeed a risk as asset allocation may largely depend on this. Rising interest rates should be good for equities as rising interest rates happen when the economy is resilient enough. What will be interesting is the change of risk appetite between bonds and equities. What is happening currently in emerging markets following the US Fed decision to reduce QE is according to me the biggest risk currently.